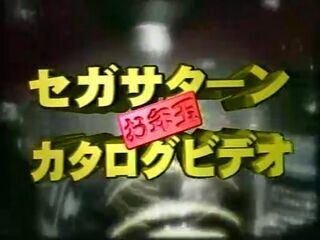 Sega Saturn Otoshidama Catalog Video (セガサターンお年玉カタログビデオ) is a VHS released in Japan to promote the Sega Saturn's software lineup for the first half of 1997. This VHS is produced very similarly to the Sega Video Magazine series, although is thought to have been distributed differently. It demonstrates and informs about various upcoming Saturn games and some of the more popular already available ones. It is roughly thirty minutes long and like Sega Video Magazine, uses primarily prototype footage (although in cases such as Manx TT SuperBike, arcade footage is used instead). At the end of the video is a Virtua Fighter 3 trailer, a game whose Saturn port was cancelled.